During the holiday, religious adults fast while Ethiopian Jews of all ages pray and gather at the Western Wall to request forgiveness for sins. Gebeye Takele was at the Sigd festival asking for signatures to present to the Israeli government to petition them to bring the rest of the Ethiopian Jews home. 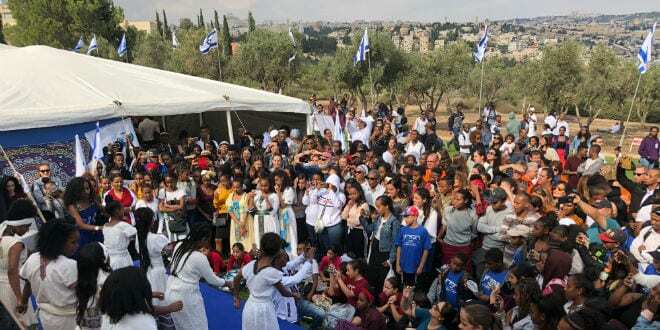 “Sigd in Israel represents God’s fulfilled promise of the return of the Ethiopian Jewish people to the land of Israel,” Katsof told Breaking Israel News. Ethiopian Jews in Israel experience discrimination in various fields including law enforcement, health, education and employment. Even in the context of discrimination, Ethiopian Jews maintain that Israel is the only place for them to live.